Magnets are materials that produce a field that attracts or repels certain other materials without actually touching them. Natural magnets have been used and studied since at least 500 B.C. and new classes of man-made magnets have been developed as recently as the 1980s. 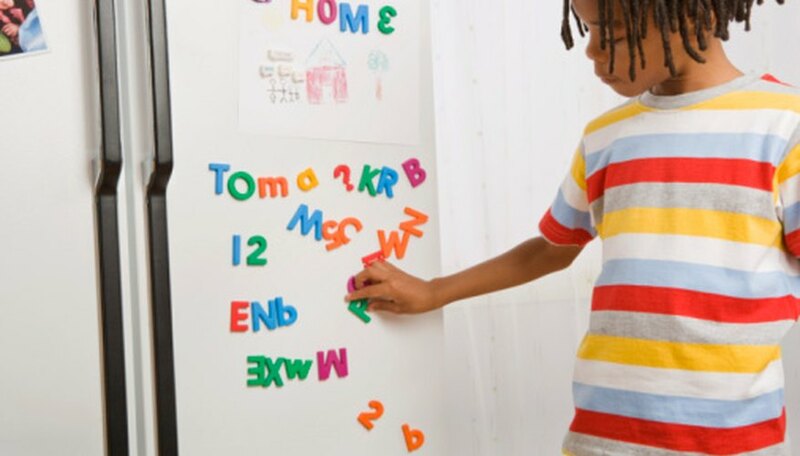 Magnets are used for everything from sticking the grocery list to the refrigerator to generating electricity to levitating maglev trains. Permanent magnets are the most familiar type of magnets. They are referred to as permanent because once magnetized, they stay magnetized, at least to some degree, although some permanent magnets are affected by high temperatures or sudden falls. Some permanent magnets will lose strength over a certain temperature and eventually become demagnetized at extreme temperatures. There are four materials used to make permanent magnets: ceramic or ferrite, alnico, neodymium iron boron (NdFeB) and samarium cobalt (SmCo). Ceramic or ferrite magnets are the most popular type of permanent magnets available, according to Magnet Man. Flexible magnets, such as the business-card type magnets often stuck to the front of fridges, are of this type and are produced by mixing a magnetic powder with a flexible binder. Alnico magnets, so named because they are a compound of aluminum, nickel and cobalt, were first developed in the 1940s. This type of magnet is easily demagnetized by other magnets or by being dropped, but functions at a higher temperature than all other permanent magnets. Neodymium iron boron (NdFeB) and samarium cobalt (SmCo) are both types of rare earth magnets and are the strongest of the permanent magnets. These types of magnets were developed in the 1970s and 1980s from the rare earth, or lanthanide series of the periodic table of elements, according to Magnet Man. Electromagnets consist of a coil of wire wrapped around a metal core, usually made of iron. These materials, when not exposed to an electric current, create almost no magnetic field. However, when an electrical current is passed through the wire, a magnetic field is generated until the current is turned off. Unlike permanent magnets, the strength of the magnetic field of an electromagnet is adjustable by changing the amount of current passing through the wire. The polarity of the magnet can also be reversed by reversing the flow of electrical current. Paper clips, metal nails and other items made from soft iron can become magnetic when exposed to a magnetic field and will temporarily behave as magnets. 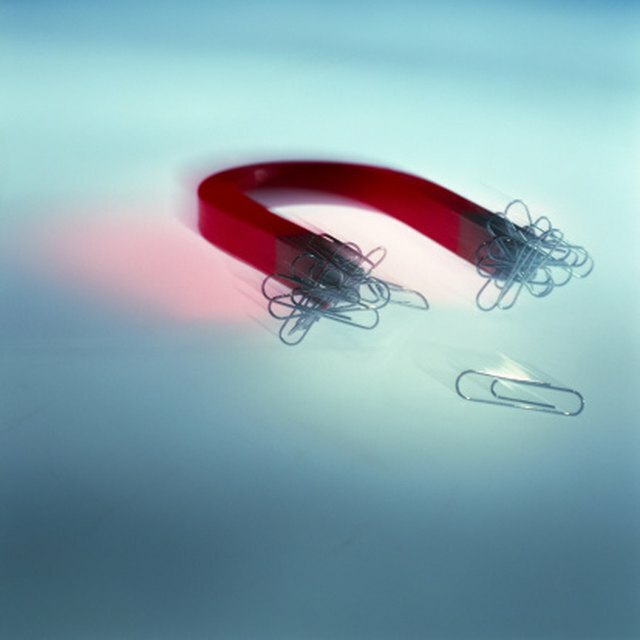 If one paper clip is hung from a magnet, a second paper clip can be hung from the first. However, when the magnetic field is removed, the item will not retain its magnetic properties and the paper clips will not act as magnets when removed from the original source of the magnetic field. Magnet Man: What Types of Magnets Are There? Brooks, Lizzie. "Types of Magnets." Sciencing, https://sciencing.com/types-magnets-8085073.html. 24 April 2017.